This entry was posted in SDR by Chris Smolinski. Bookmark the permalink. To my ears I’m not detection much difference between the two. I would have to call it a draw. Just an ever so slight advantage to the NetSDR when listening to the 1620 pirate. After listening to all the samples above, I had come to the same conclusions that Mike Bott came to. I could not tell any real significant differences between the two SDR’s for receive quality. Considering that one SDR is $1449.00 if I read correctly, and the AirSpyHF+ is $199.00 the difference there is pretty clear to me. Cost wise it is a no brainer which one I am going to purchase. Like other commenters noted. They sound about the same. But there is more to consider in an SDR such as how much of the band can you *see* at one time, overload characteristics etc. Some of that is the software used and not just the hardware. 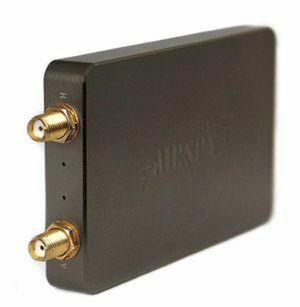 Overall tho I think the AirSpy is probably a good priced item. Hi, could you make some more recordings for a weak station with a strong one very closed? Why not record some digital signals (eg. Digital Radio Mondial ) and compare SNR directly. This is the most objective test method you can get. It can also reveal some subtle characters in the SDR that is “inaudible” to human ears. Digital Radio Mondial over shortwave is like lipstick on a pig. Can you elaborate on that point and your experience? good test Chris. Fascinating result ..